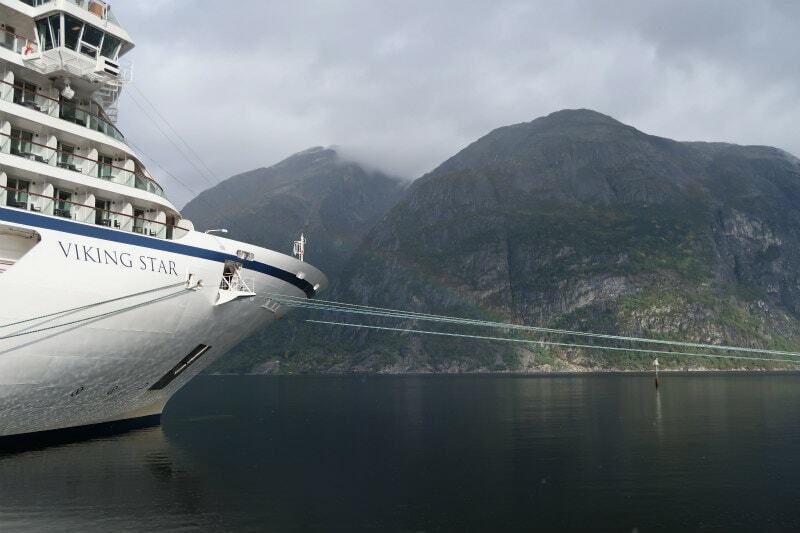 Last fall, my husband and I embarked on a Viking Ocean Cruise aboard The Viking Star. Our journey began in Berlin, and it ended in Bergen, Norway. 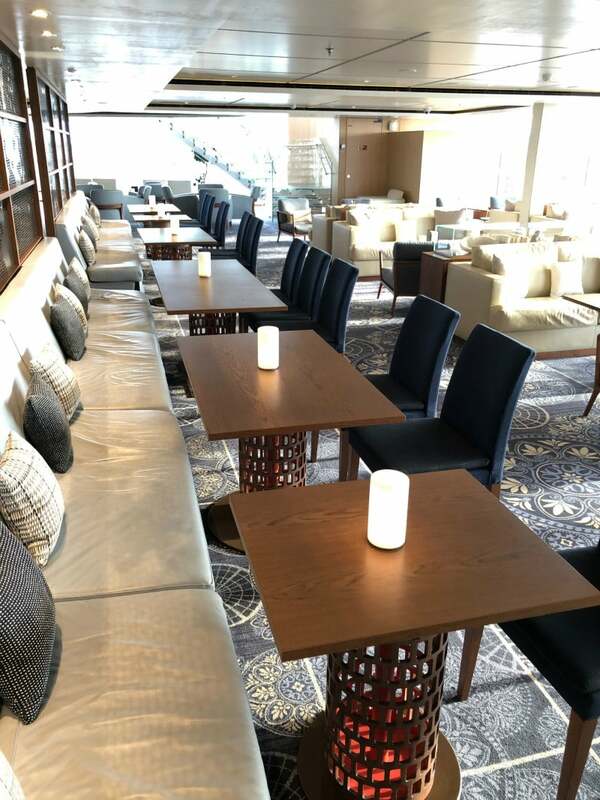 Today, I’m giving you a Tour of the Viking Star— our ship! If you’ve ever considered taking a cruise, the Viking cruise line is definitely one to consider. The moment we boarded The Viking Star, I realized that this cruise ship was going to be different than others we’d been on. We hopped on mid-cruise (the Viking Homeland Cruise) to experience the second half of the itinerary. The first part of the cruise visits Sweden, Finland, Russia, Estonia and Poland. We boarded in Germany and then sailed to Denmark and through the Fjords of Norway. Very few passengers were on the ship when we boarded since they were all off on excursions. So we really got a chance to explore and get a good look at the ship. It’s a smaller cruise ship: just 930 guests. We’ve been on the cruise ships that have a couple thousand + people on board. 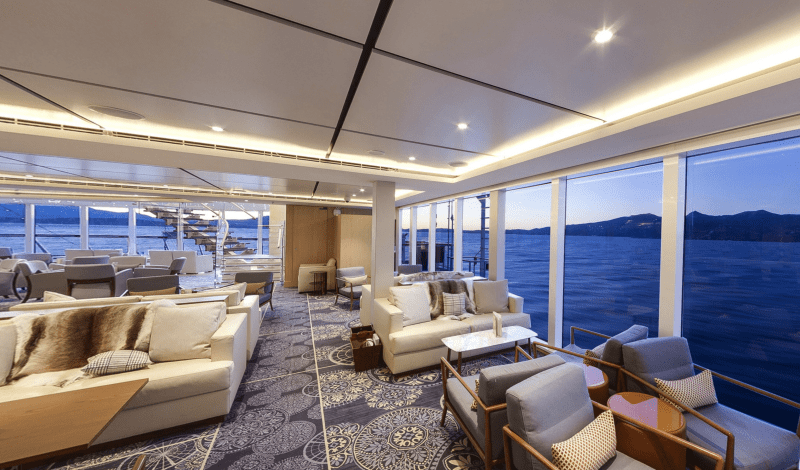 The Viking Star felt less chaotic and was much quieter. 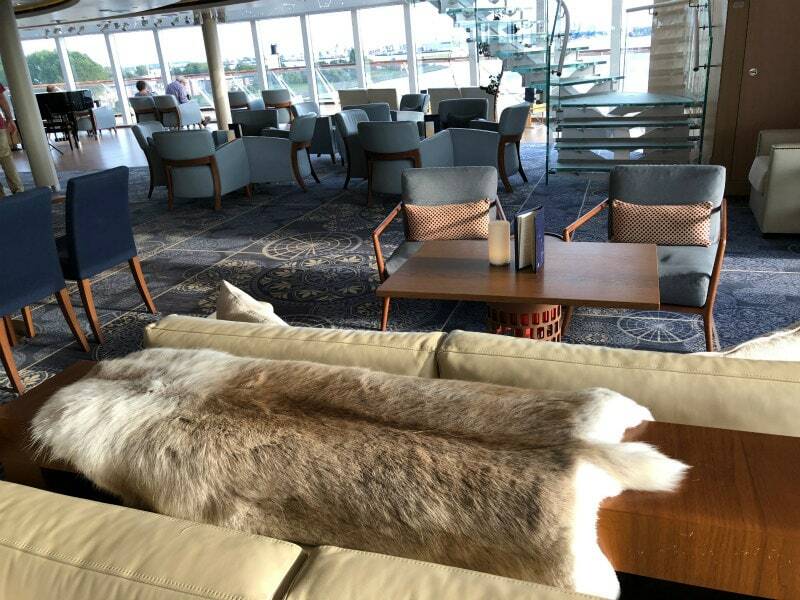 Viking cruises in general don’t seem to draw the “party crowd” (you know… the wild-and-crazy, party-all-day-and-night kind of crowd?) Action on The Viking Star winds down by midnight. The food! 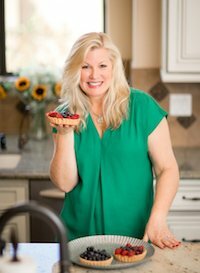 I write much more about the food below, but I really loved the variety and specialty restaurants. Viking is pretty much an adults-only cruise line. They don’t have any facilities on board for kids, so they don’t encourage you to bring them (and they reserve the right to limit how many minors under 18 are on board). There weren’t any kids on board our cruise. 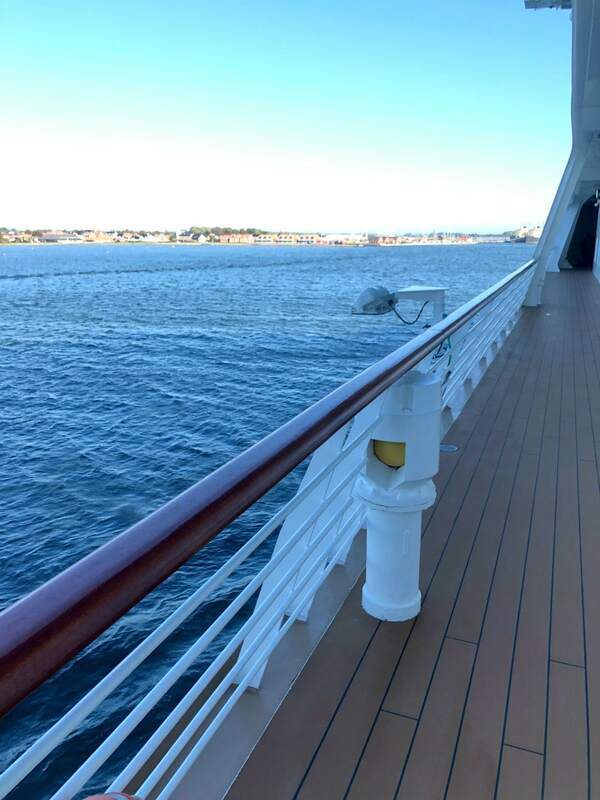 I love kids, but when I’m on a cruise and I’m ready to relax… it’s nice not to have kids running around. No nickel-and-diming. Viking is an all-inclusive cruise. 24-hour room service, unlimited wifi, beer/wine/soft drinks at every meal, specialty teas and coffees, port taxes and fees, laundry machines, and ground transfers with air purchase are all included. Shore excursions and spa experiences are extra (as expected). Decent sized bathrooms in the staterooms! Free laundry on board means we were able to pack light and do laundry mid-cruise. No formal nights! 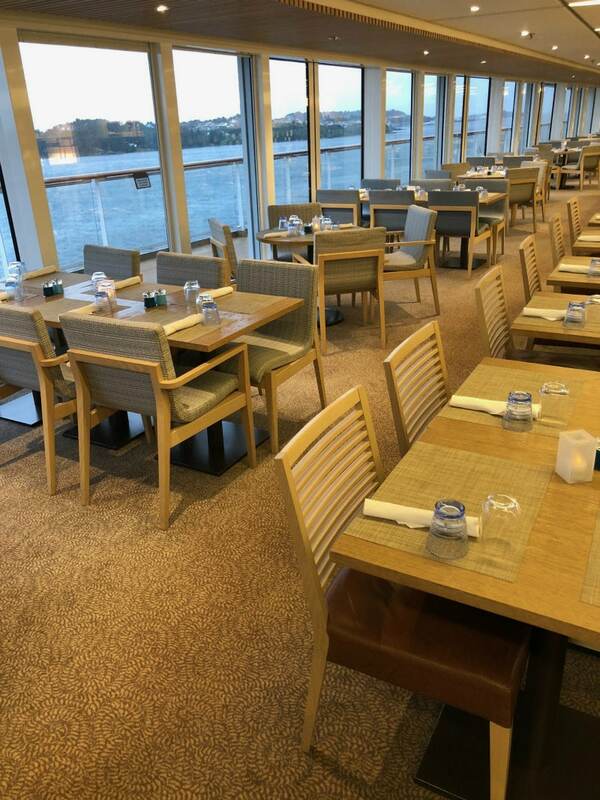 I brought some casual dresses to wear to the nicer restaurants on board, but formal wear is not “required” on the Viking cruise line. Collared shirts (no jeans) for the men in the evening. “Elegant Casual” is their theme for dining and evening events. The buffet restaurant remains casual in the evening. And a few tips on cruising! There are certainly a lot of places on board to meander and relax. If you like your alone time, there’s a spot for everyone. Everything is very clean. The crew is out all day long, wiping things down and making sure everything is perfect. 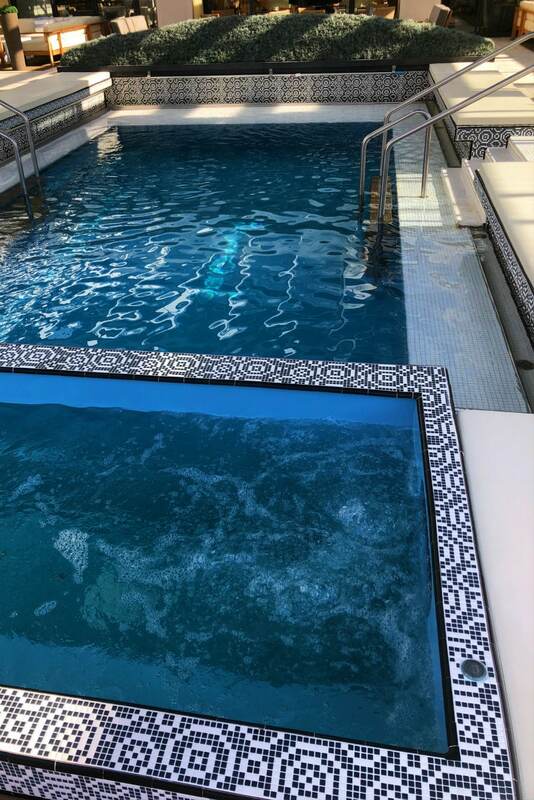 This is the outdoor infinity pool and hot tub that sit on the very back of the ship. The weather wasn’t very warm when we were on board, but this would be an amazing place to hang out in warmer weather. 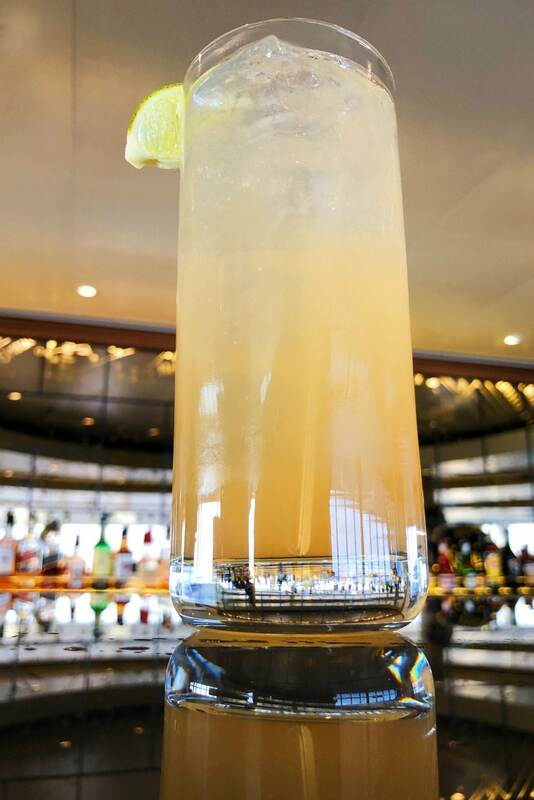 Imagine a cocktail in hand and sailing and watching the ocean disappear behind you! The Aquavit Terrace is located here as an option for al fresco dining. 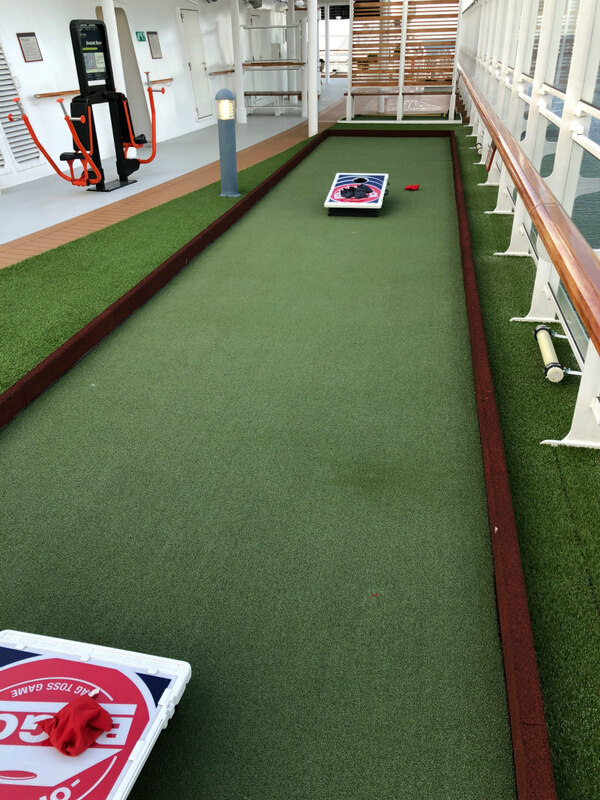 If you like to be active on a cruise, there are certainly many opportunities to do so. 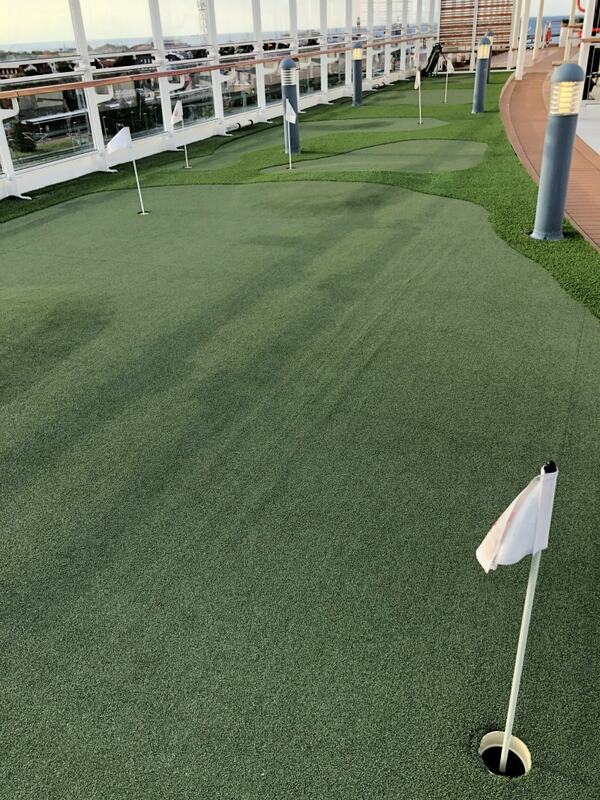 Shuffleboard, Baggo, Bocci Ball and a Putting Green are available for your use. There’s a walking/jogging track on board that we observed many active folks using daily. And there’s a pretty nice fitness center you can work out in. Morning yoga is offered sometimes as well. 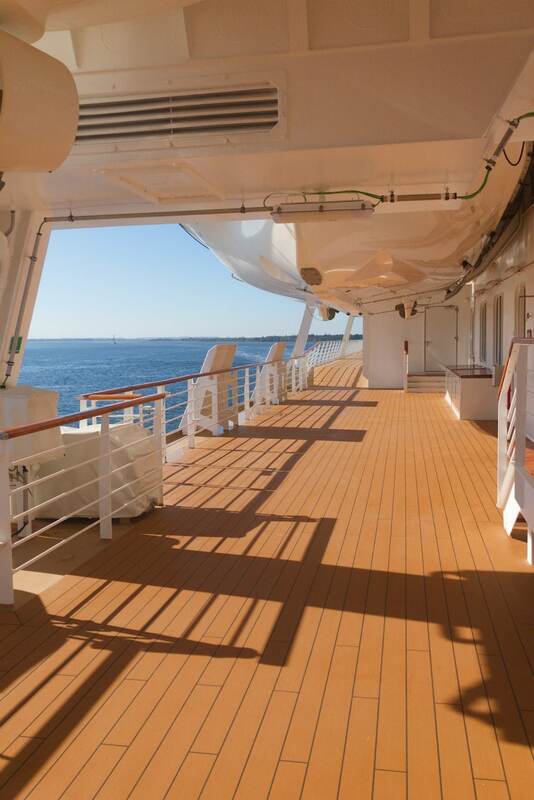 Every stateroom on every Viking ship has a private veranda. Our stateroom was fairly roomy and comfortable with additional seating and a desk. There was good storage in the closets. The bed was super comfortable. And we loved that there was a little refrigerator in the room that was re-stocked daily with waters and chocolates. 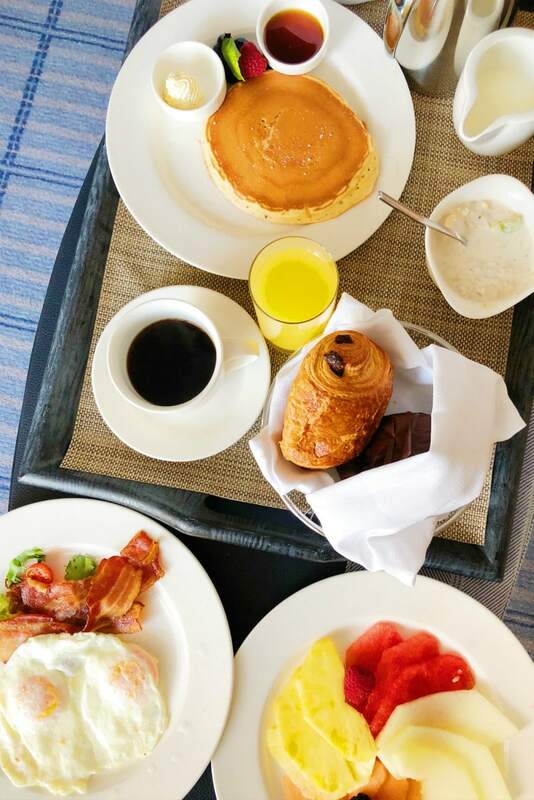 Since 24-hour room service is available to all, we took advantage of this for breakfast on at least a couple of occasions. Sometimes you just like to get up slowly and you don’t want to have to shower and get dressed and go eat breakfast with the crowd. So we pretty much just ordered everything on the menu and enjoyed some leisurely mornings! 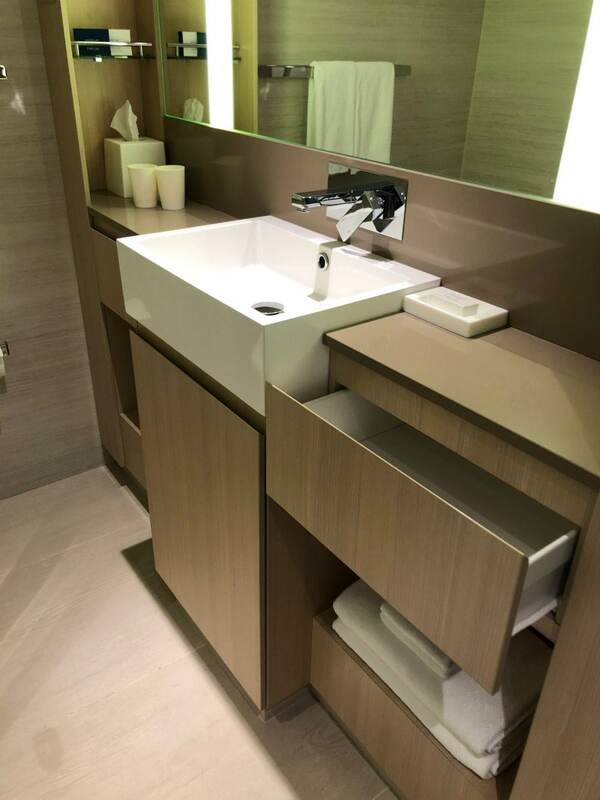 I’d say that the spacious bathrooms on The Viking Star were a delightful surprise! 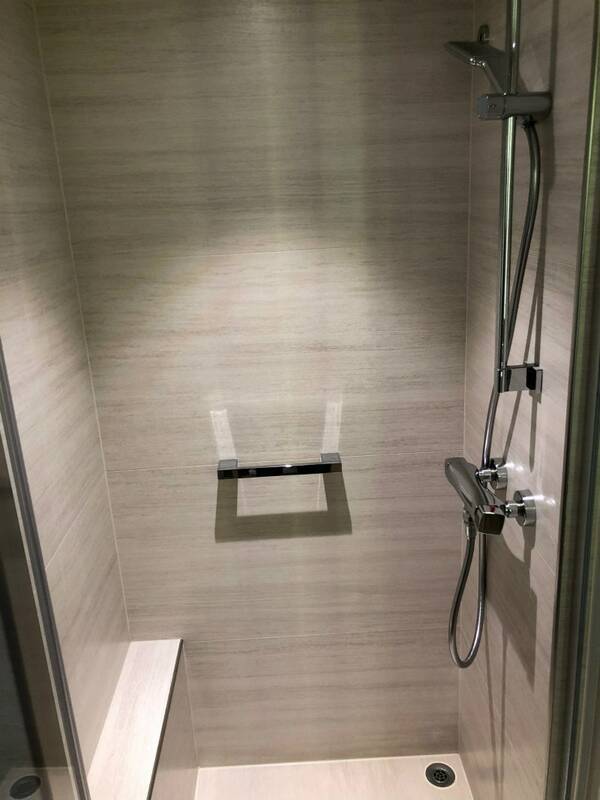 They are quite large for a cruise ship bathroom. I didn’t feel cramped while trying to get ready, there is a good amount of storage, and the showers are decently sized! All restaurants on board are included in the price of the cruise (except for The Kitchen Table dining experience). For most of them, it’s a good idea to plan ahead and make a reservation. 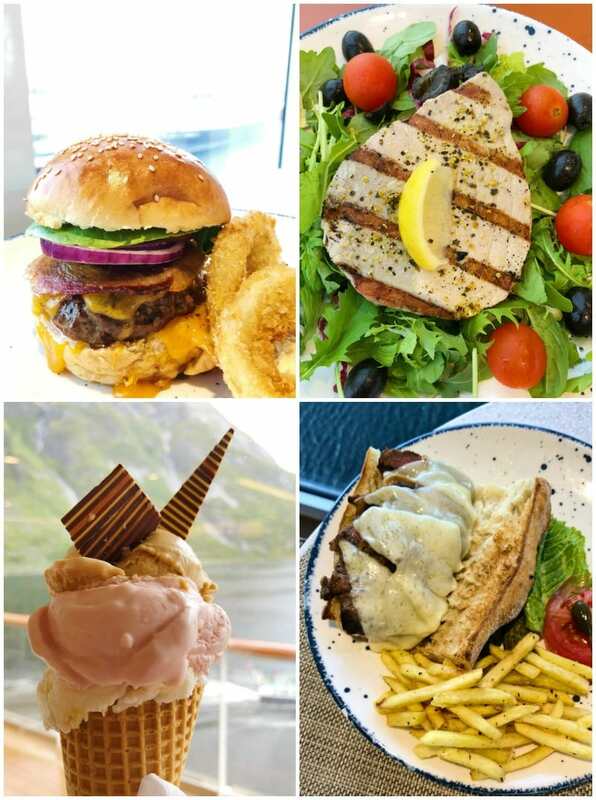 There are quite a few choices for quick-meals on board. The World Cafe buffet is available for all meals of the day, and there are many sit-down-and-order options too. We tried them all! The all-you-can-eat, help-yourself buffet is nice for grabbing a quick bite. I liked it because it was nice to be able to put together a super healthy meal. 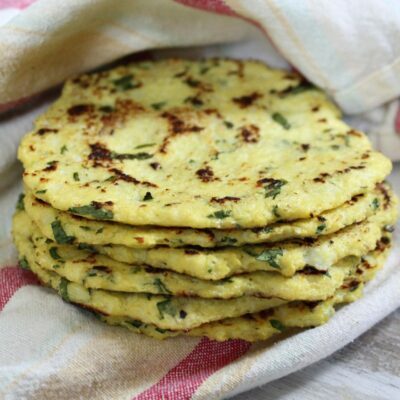 There are great fruit, vegetable, and protein options. We especially loved the seafood and sushi display! 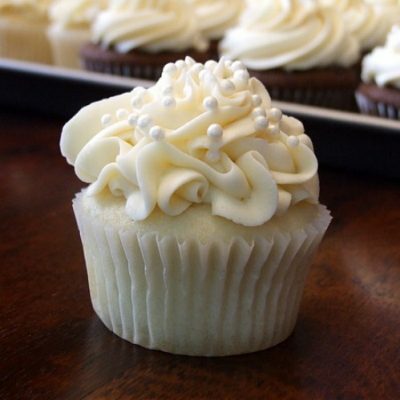 There’s quite a variety to choose from, and desserts are included too. The Restaurant is the main dining area, and it offers breakfast and dinner. We found The Restaurant to have really good meal options, and we loved sitting by the window and watching the ocean as we were dining. Mamsen’s Deli is an option too- featuring traditional Norwegian food. Open-faced sandwiches, traditional heart-shaped Norwegian waffles, soups and stews are offered. We liked going to Mamsen’s in the late afternoon to enjoy a light meal and a glass of champagne while we sat in this comfortable area and gazed at the ocean! 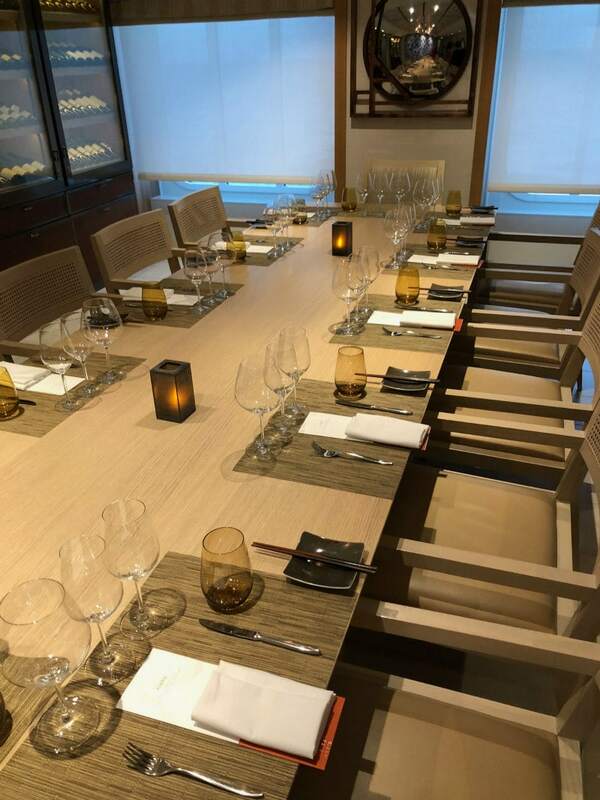 The Chef’s Table is a dining experience that you can reserve while on board. 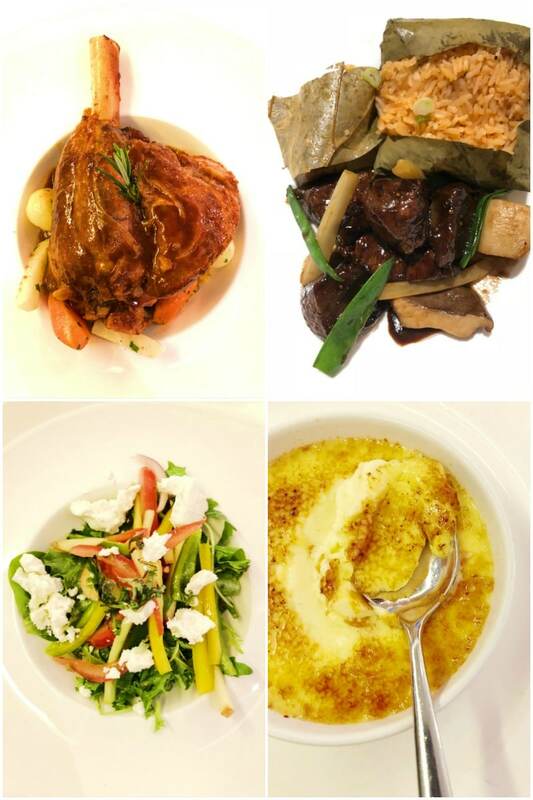 The chef creates a specialized, themed menu that is served for three nights before he creates another one. We did this one night, and it was amazing! Manfredi’s Italian Restaurant was a favorite by far. We ate here twice. They have the best Italian food (pasta, salads, appetizers! 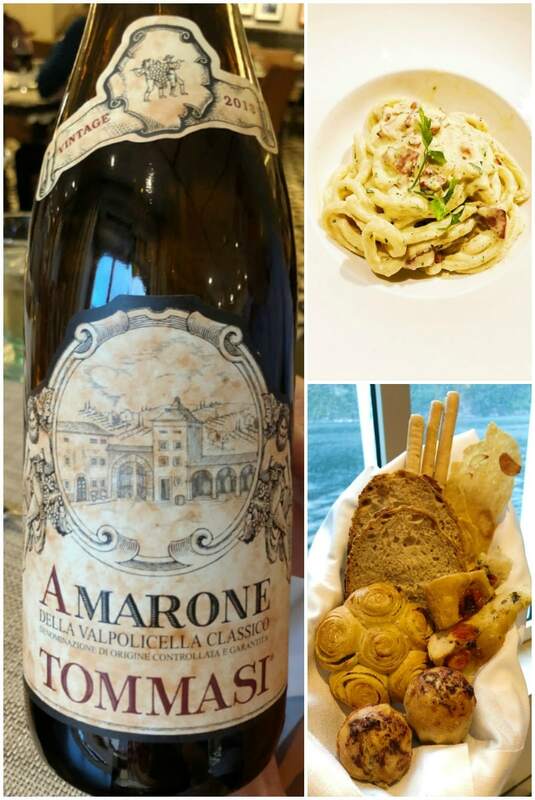 ), the bread basket is amazing, and the wine choices are excellent too! 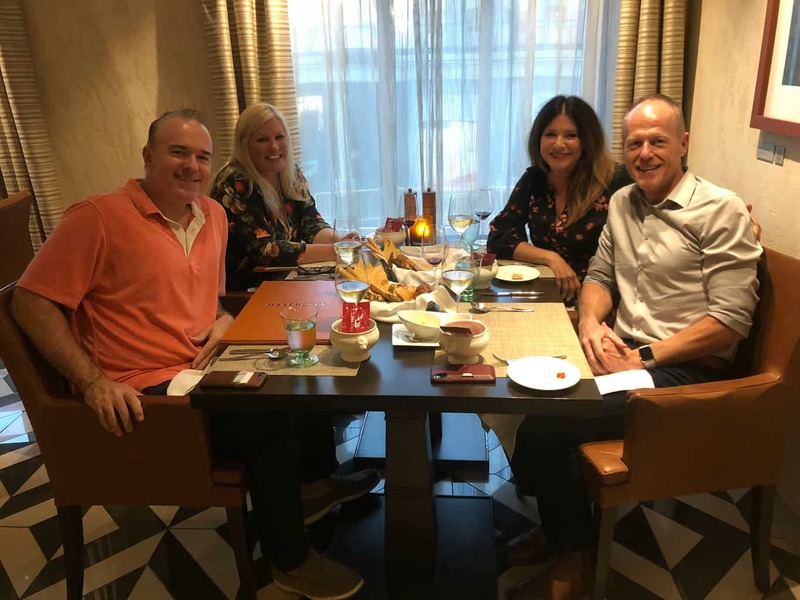 We were on board with our friends Sandy and Paul, and they agreed that this restaurant was the best! The pool and hot tub area has a retractable roof, so they open that up in nicer weather. We sailed in the fall, so the (glass) roof was closed and cozy! These are all great options for poolside, casual dining during the day. The poolside grill offers burgers, Philly cheesesteak sandwiches and fish sandwiches too. I liked to order an Ahi tuna sandwich and asked them to just give me the Ahi so I could make a salad out of it instead. Lots of gelato choices are available in the World Cafe, so that was a daily grab for us too! 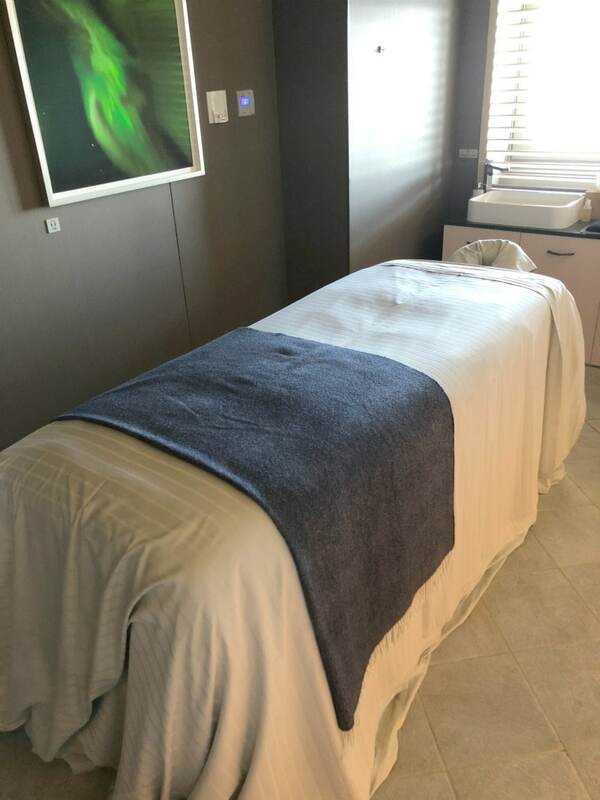 If you’re one who enjoys being pampered on a cruise, the Viking Star has an awesome spa! Massages, facials and salon services are all offered. We indulged and got a couple of massages while on board. It’s recommended that you book your massages before sailing, but we were able to squeeze in a second massage during the trip too. 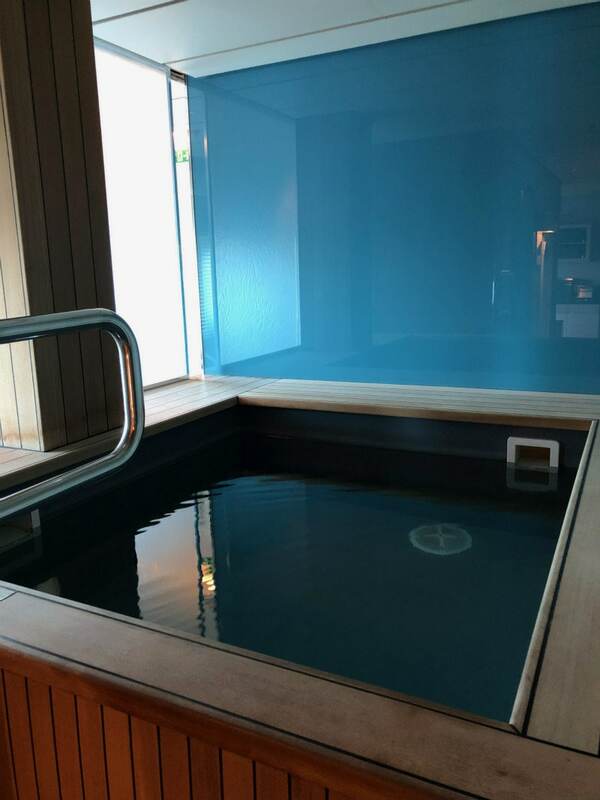 You also have access to the Thermal Suite- which includes a small pool, sauna, snow room, cold water splash bucket, and hot stone relaxation lounges. Guests start their Nordic bathing experience by sitting in the hot sauna for a while before moving to either the cold pool or the even colder snow room. Yes, a snow room! Artificial snow falls in a small snow room. Guests who have relaxed in the hot sauna can then move to the snow room, where the snow accumulates on the bench and the floor. It’s quite a unique experience! We hung out in the Explorer’s Lounge every night for cocktails and events. I can’t tell you how many interesting people we met from all over the world. You can be social (like us), or you can find a cozy corner and not talk to anyone! 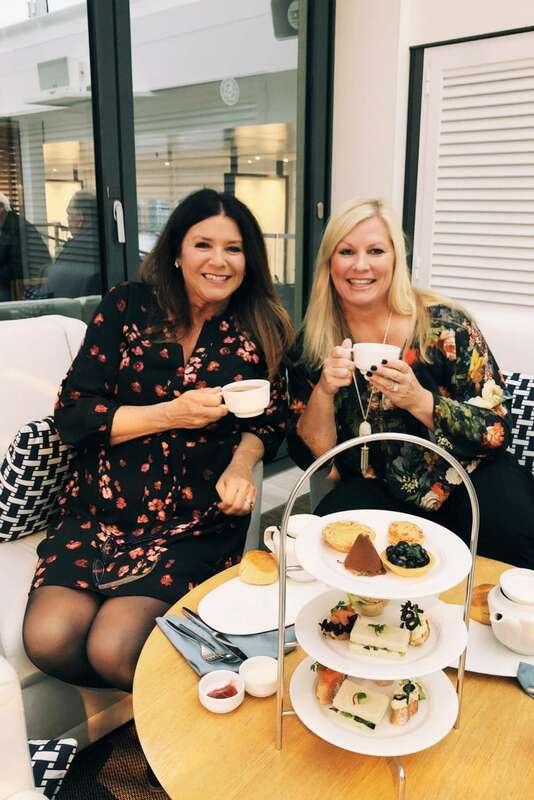 Late afternoon tea is served every day in a beautiful area of the ship called the Wintergarten that has panoramic views of the ocean around you. Pastries, scones, finger sandwiches and a nice selection of teas are offered. This was the time of day that Sandy and I headed to tea and our husbands went to have a beer! It’s a relaxing way to end the day! Take the time to plan ahead- look at the forecasted weather and plan accordingly for clothing. We managed to both bring JUST a carry-on bag (so much easier for traveling internationally). Having a laundry room available on board made it so much easier to re-wear our clothes! As soon as you make your reservation, begin looking at the options for shore excursions and make those reservations too. They do sell out, so you want to make sure you reserve what you want! If the excursion you want is offered in both the morning and afternoon, book the early one! You’ll be happy to have the second half of the day to explore. Take the time to get a sea sickness patch from your doctor and USE IT. Some people don’t think they’ll need it, but it’s better to be safe than feel sick and realize it’s too late. You can never predict how bumpy the sail is going to be or how your body will handle it. Bring comfortable shoes for your shore excursions. 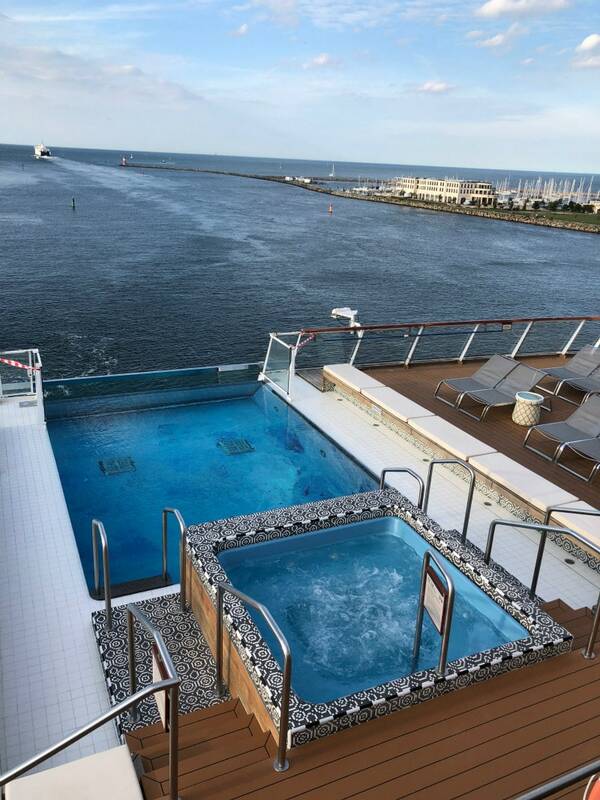 Check out your itinerary and book spa time for the days where you’ll be at sea! If you enjoy your cocktails and wine, then splurge and get the Silver Spirits Package so you’ll have more options available to you. 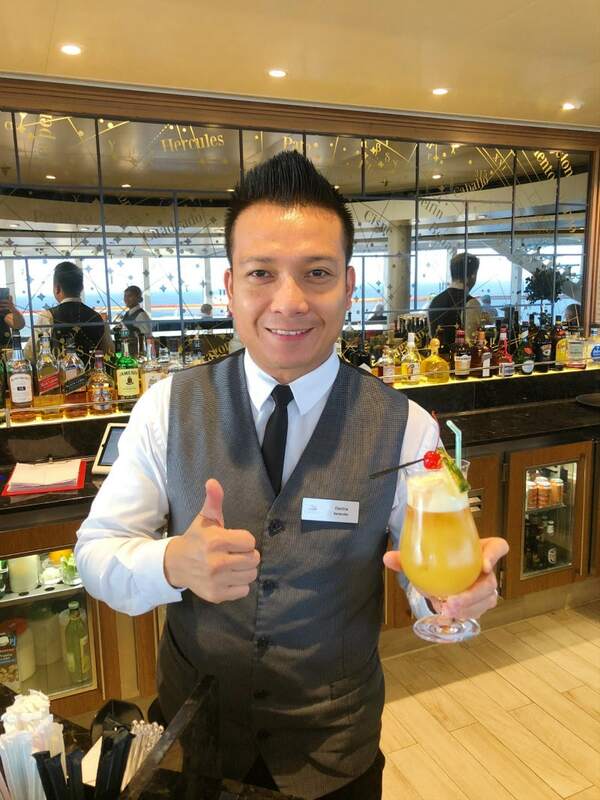 I’ve sailed on a few different cruise lines now, and it’s amazing how very different they are. 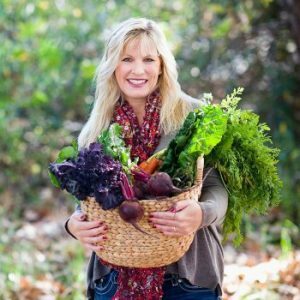 They all offer a completely different experience, so you really have to read up and see which one is best for you. My husband and I have been on both a Viking River Cruise and (now) a Viking Ocean Cruise. We really and truly enjoyed both of them, but even THOSE are completely different experiences! You can read more about my Viking River Cruise HERE- Viking River Cruises: Southern France. 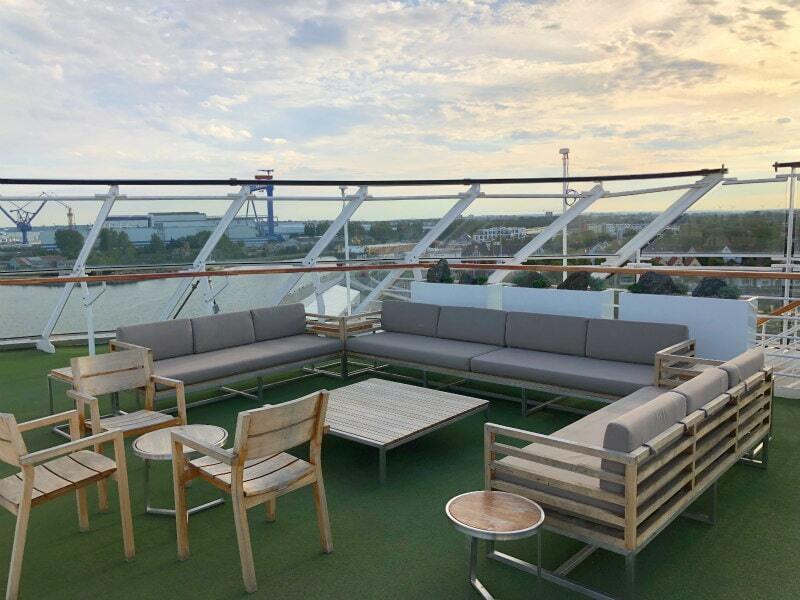 As far as the Viking Ocean Cruise goes, we’ll definitely be looking into more of their itineraries. Our son is headed off to college soon, and it will just be us. So it’s really the perfect cruise line for us to be booking. We love that it’s an adult cruise. That aspect of it makes it feel much more relaxing. 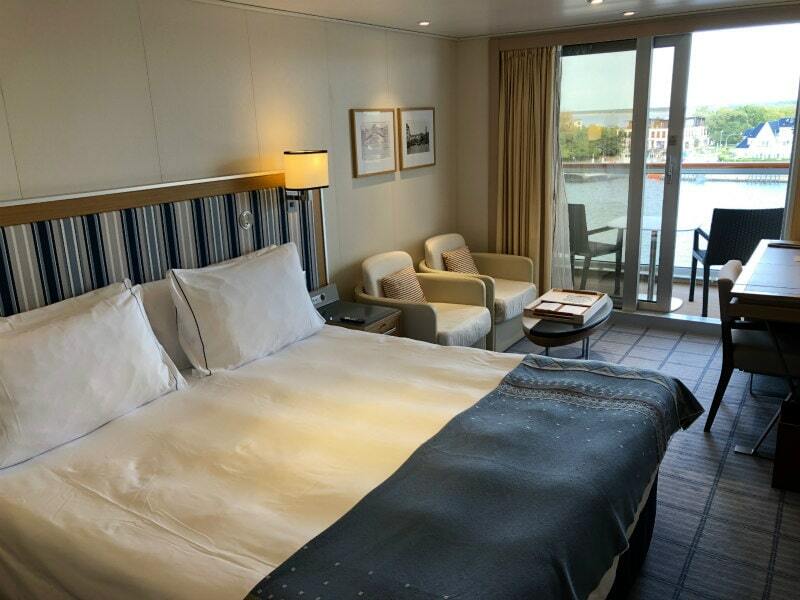 The size of the Viking Ocean ships is just perfect, and we thought the accommodations were very comfortable. The food options on board are amazing! I can’t wait to explore opportunities for our next ocean cruising adventure. Stay tuned for my write-ups on the ports we visited in Denmark and Norway– with details of our shore excursions and adventures! 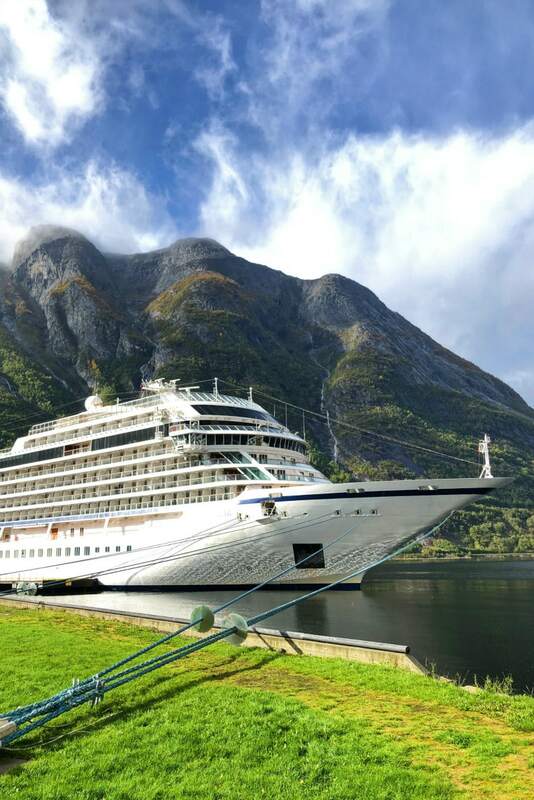 Visit Viking Ocean Cruises to take a peek at all of their ships and itineraries. 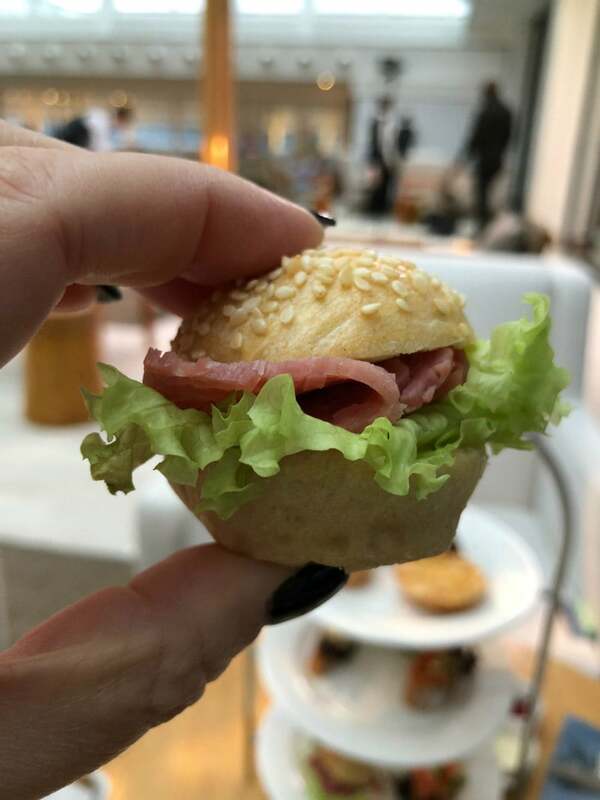 Viking Ocean Cruises very generously sponsored my travel and time on board The Viking Star so I could write up and share my experience with RecipeGirl readers. All opinions shared are my own. I loved this trip so much. Viking is so classy and elegant. The food was fantastic and the entertainment and excursions excellent, too. A trip of a lifetime! Great story on Viking Star. One item I believe not mentioned and frankly not missed by clients sailing on Viking was the absence of a casino. Viking has taken the square footage for a casino and has made more public space available. Thank you for pointing this out! A casino is definitely something I don’t miss on Viking. I’m glad they don’t have them! 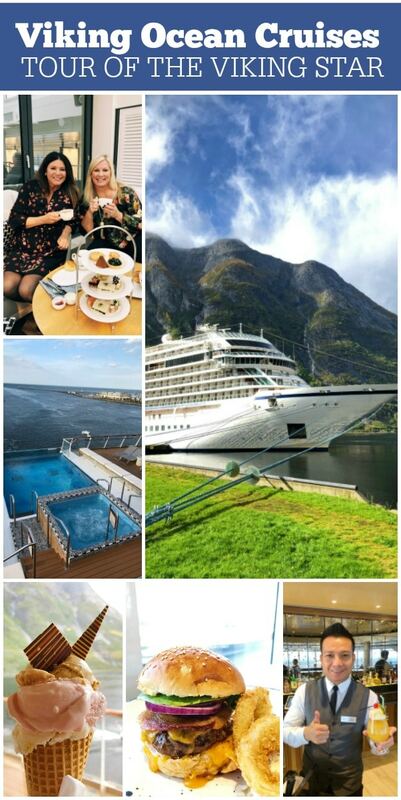 Truly a Viking cruise is on my bucket list.I have never been on any kid of cruise, but love the idea of either the ocean or rivers (reading that next) I think we would love it. I think you’d love it too! It’s really a fabulous experience! What did you use for seasickness? Did you find the seas choppy? The only other cruises I’ve taken have been on bigger ships! We are going in April! We got the seasickness patches (stickers that you place behind your ear) from our Doctor. It’s a prescription, and you just have the Doctor write it up for you. I’ve been on larger ships that were still a little wavy or bumpy. You just never know what’s going to happen with the ocean. On this particular cruise, we had an unexpected storm come in and had one pretty choppy night. The rest of the cruise was pretty smooth but I’d still never go without the patch! 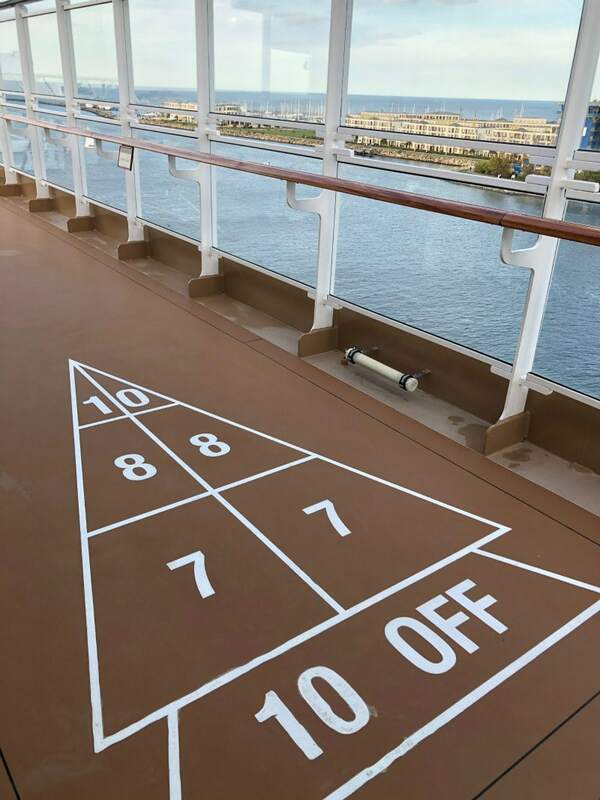 If your cruise is longer, you may need two patches since they only last for a certain number of days. Have fun!